Lyme disease can be very painful and chronic. Often a Doctor won’t be able to diagnose it right away based on the initial symptoms. In elderly adults Doctors can easily mistake Lymes Disease symptoms for other chronic diseases such as Alzheimer’s or Neuropathy. 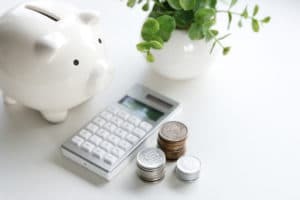 Your own experience can be a great help in determining what you might have. 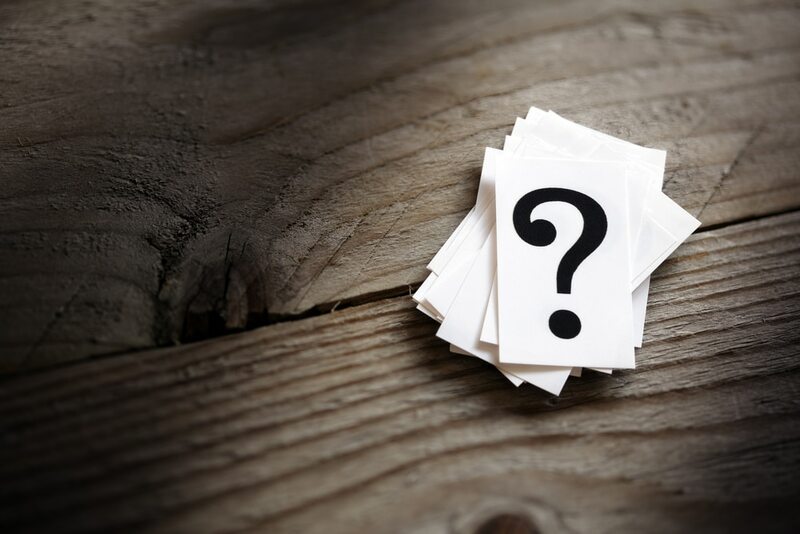 If you’re having trouble figuring out what chronic condition you might have, you’re not alone. 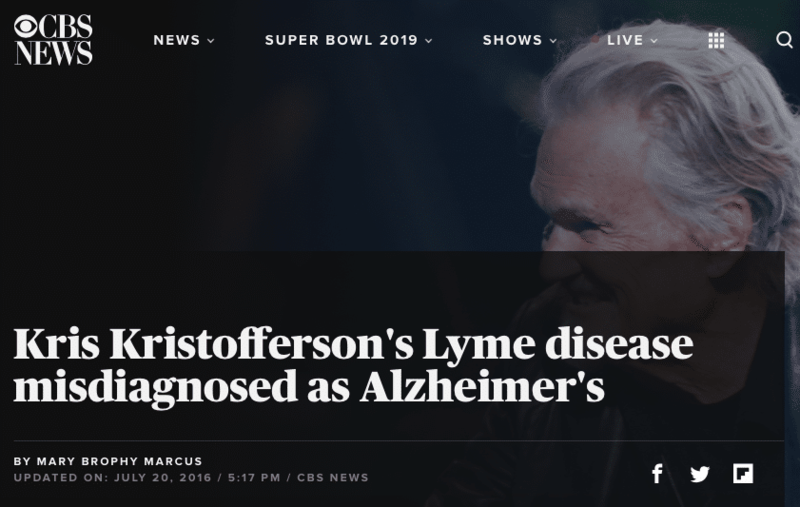 Even movie stars like Kris Kristofferson are the subjects of medical mistakes. If you don’t think your doctor has your diagnosis correct, seek a second opinion. Take charge of your treatment! The first two bacteria are found in the United States. The last two are most common in Europe and Asia. Infected Black-legged ticks, otherwise known as deer ticks are the most common carriers of the bacteria. When the tick bites you, the bacteria enters your body. Ticks bite lots of people without giving them Lyme Disease. According to the Mayo Clinic, the tick generally has to be on you for about 36-48 hours to transmit the disease. Some of these ticks. You might not see them on your body. Naturally Lyme disease is most common in areas with lots of ticks. In the United States these areas are the Northeast States down the Atlantic seaboard, and the upper Midwest. The Centers for Disease Control (CDC) monitors cases of Lyme Disease and have maps showing disease locations throughout the United States. The map below shows cases in 2017. Remember with this map that people didn’t necessarily contract Lyme Disease in the place where it showed up. Many people may have travelled from our state (Arizona) to New England on vacation. The tick may have bit them during their trip and they brought it home. 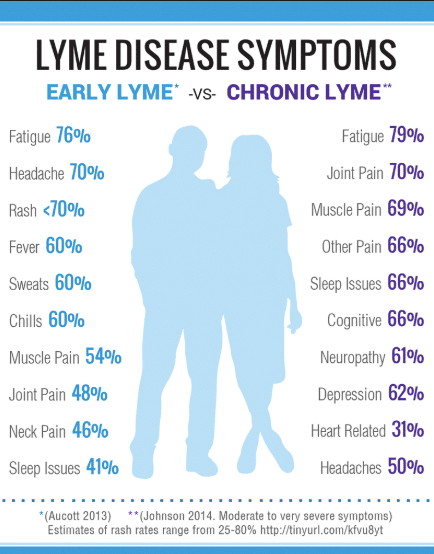 Many doctors familiar with Lyme Disease would highly recommend treating the Lymes Disease symptoms as soon as possible. This would be great, IF people knew they had the disease right away. When ticks bite you, they inject a little local anesthetic. Very often you won’t feel the bite. Then the tick falls off and you don’t know it ever happened. If you think a tick bit you, try to see a doctor right away. 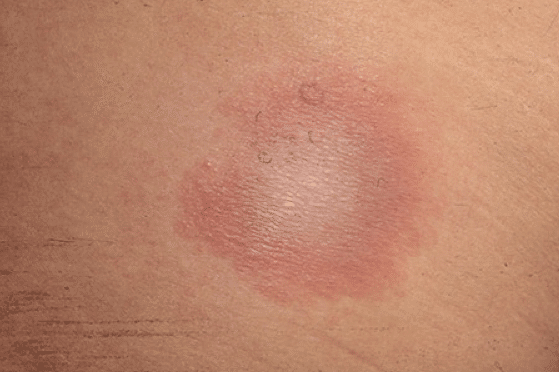 Some people develop a ‘bullseye rash’ around the tick bite. The rash would be a very good indication that you should go to the doctor. According to the CDC, 70-80% of people develop the rash between 3 and 30 days after the tick bite. If you don’t have the rash or other symptoms, the bacteria may circulate in your body for years. Then for whatever reasons, lymes disease symptoms develop. 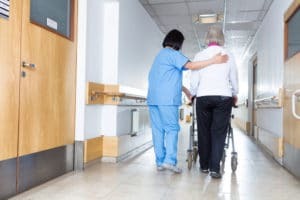 You can also learn more about how Alzheimer’s manifests itself and the typical symptoms from this post from the wife of one of our residents. Her husband started showing signs of Alzheimer’s in 2002, and we made this video in 2018. 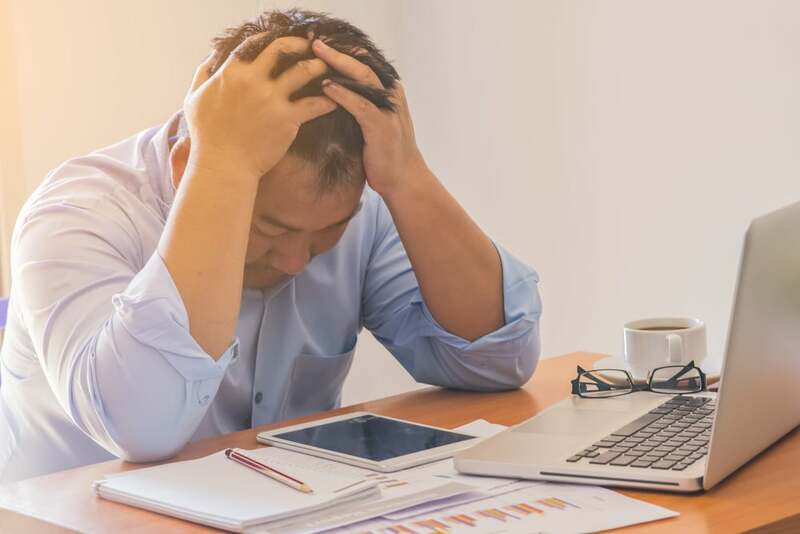 Some of these symptoms such as insomnia, fatigue and napping during the day could be confused with Sundowner’s Syndrome. Sundowner’s is a condition associated with Alzheimer’s disease. Notice that many of the treatments only last 2-3 weeks. 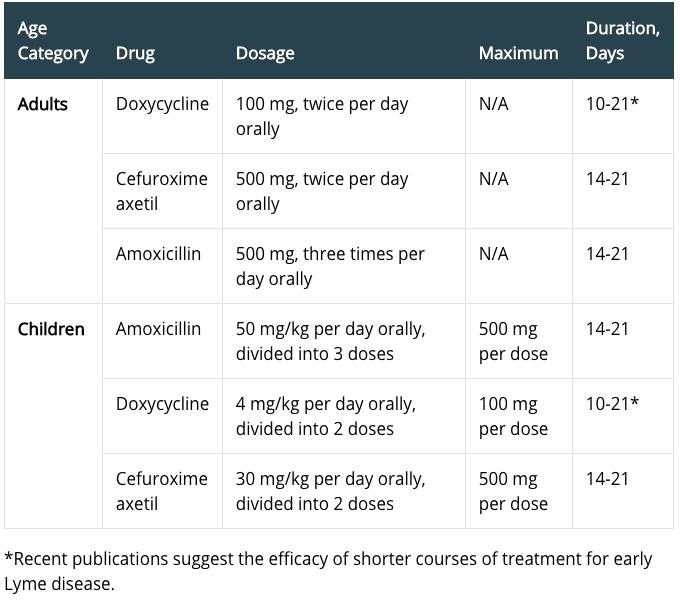 Long-term antibiotic used to treat Lymes Disease symptoms may lead to many other complications. Once the condition becomes chronic, antibiotics may not be all that effective. You have the misfortune of having Lyme Disease for a longer period, the antibiotics just don’t work, or the symptoms don’t develop. In that case there is not a lot that modern medicine seems to be able to do to help. Generally, the doctors will tell you the disease will subside over time. How long that time lasts varies from several months to many years. While waiting for it to subside, your doctor will probably prescribe some pain killers or anti-inflammatory drugs to manage the symptoms. They might also give you some steroids that help reduce some swelling. Lyme Disease has a much better shot of being fixed than Alzheimer’s. There are doctors who are finding some natural methods of treating Lyme Disease. Two of those doctors are Stephen Harrod Buhner and Bill Rawls. As with all natural healing methods, both doctors recommend a very healthy diet. Eating lots of fruits and vegetables and avoiding processed foods and sugars are important. Ridding your body of toxins and filling it up with nutrients allows your immune system to function at its optimum level. Thyme Oil – Thyme is very good at fighting bacteria in Salmonella and spoiled milk. 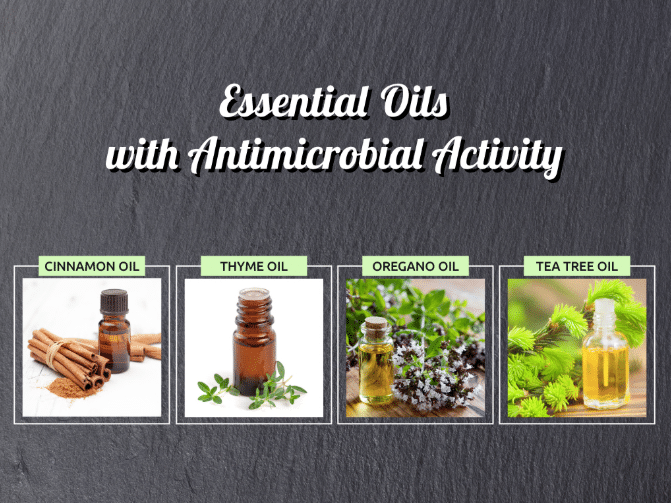 Oregano Oil – Oregano silver and colloidal silver work very well against certain strains of antibiotic-resistant bacteria. That means they can control infections well. Tea Tree Oil – Very effective in fighting bacteria and fungus, such as toenail fungus. Other studies have shown it is effective in fighting E. Coli and Staph infections as well. This is especially true when combined with Eucalyptus. The oil is slow-releasing, meaning it will continue to provide benefits for a while after application. Although it may be difficult to sleep due to the Lymes Disease symptoms, you should still try your best. 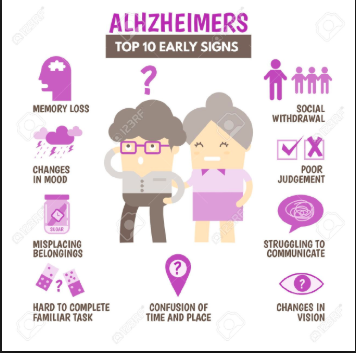 All of the Alzheimer’s type symptoms are caused by the bacteria moving up into your brain. During sleep the brain recharges and drains glymphatic fluid. Sleeping effectively helps drain the brain of many toxins, and may reduce the bacteria causing the Lyme Disease. Losing sleep will also impair your immune system. That will make it harder to fight the disease. Lymes Disease Symptoms or Alzheimer’s or Neuropathy? Sometimes it’s difficult to know exactly what you have. You are the person who should ultimately be in charge of your health. If you don’t feel comfortable about what a doctor tells you, find another doctor. If it is a pretty scary diagnosis such as Alzheimer’s or Cancer, by all means obtain a second opinion. Doctors are people too. We all make mistakes. One thing is for sure. Leading a healthy lifestyle with a good diet and exercise will only help or lessen any chronic condition. We work with a Naturopathic doctor and a physical trainer at our assisted living homes. Having that expertise, along with our licensed caregivers, provide our residents the best chance of easing any chronic conditions they may have. If you would like to learn more, please feel free to reach out to us on the home page of our website, email us, or call us at 623-295-9890. From Pilot to Paradise: Meet Hal Cranmer! 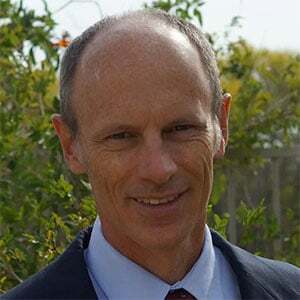 Mr. Cranmer went from Air Force Special Operations Pilot to Airline Pilot to running a multimillion dollar manufacturing plant after 9/11 ended his flying career. 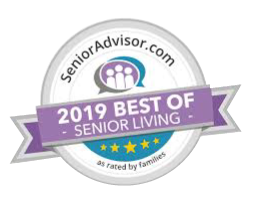 Now he is bringing his business expertise to his true passion - taking care of seniors in his 'A Paradise for Parents' assisted living homes in Surprise and Goodyear, AZ. Read Hal's crazy career story, 'From Air Force Pilot to Assisted Living Owner'. Click the button to send Hal a message! Whenever you’re ready, we’d love to have you visit one of our facilities and meet the staff. Click the button to fill out the contact form and a member of our team will reach out to you to confirm a time that works best for your schedule. Here at a Paradise for Parents, we concentrate on improving the health of our residents. We have four assisted living homes, three right off Greenway road in Surprise, AZ and one in Goodyear, AZ. Copyright © A Paradise for Parents. All Rights Reserved.